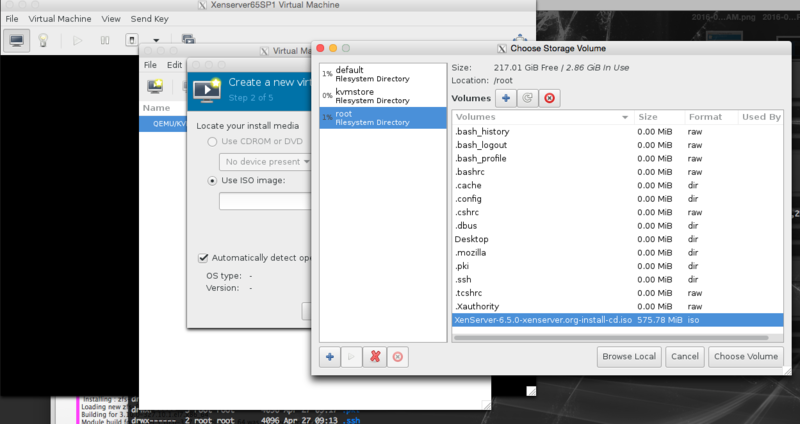 So, we are configuring some openstack and kvm stuff at work for some projects. We’re ‘cloudy’ guys. What can I say? 😀 One Issue I had when installing xenserver, underneath KVM. (why would we do this?) 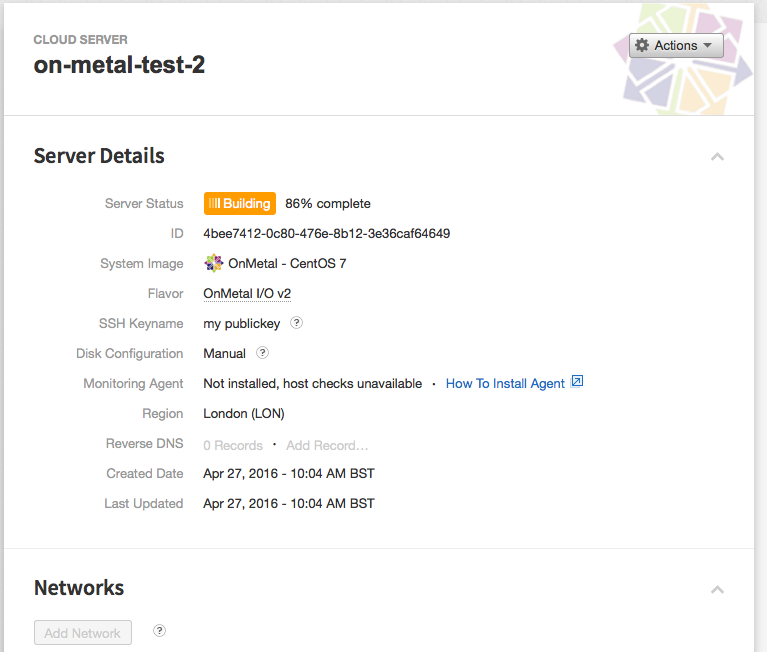 In our testing environment we’re using a single OnMetal v2 server, and, instead of running xenserver directly on the server, and requiring additional servers, we are using a single 128GB RAM hypervisor for the test environment. One issue though is that Windows is only supported with xenserver when directly run on the ‘host’. 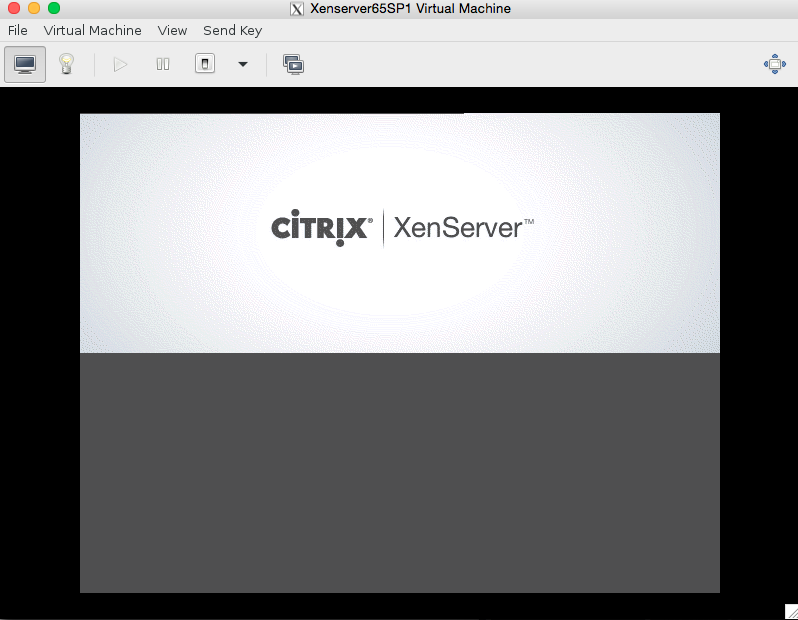 Because Xen is running virtualized under KVM we have a problem. Enter, tested virtualization support. 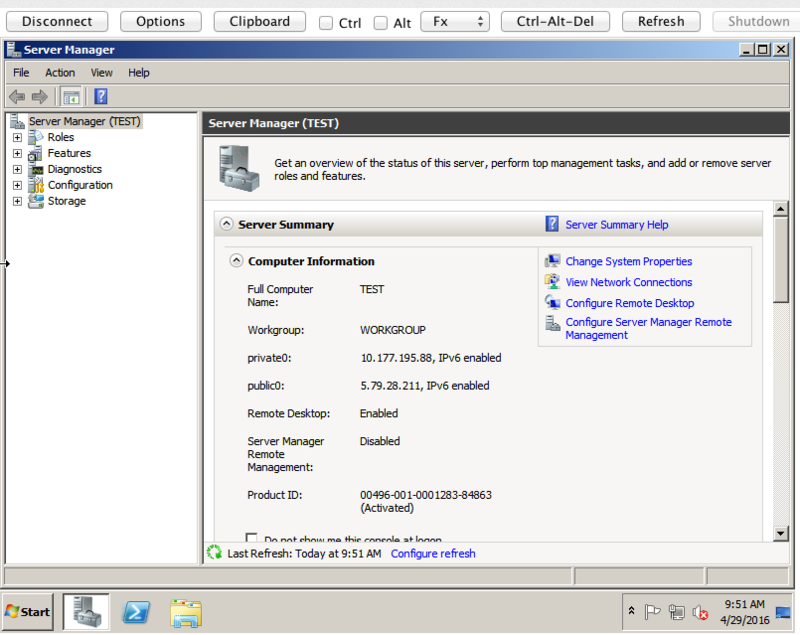 Hardware virtualization assist support will now work for xenserver thru KVM, which means I can boot windows servers. YAY! uh.. 😉 kinda. This can also be done for AMD systems simply substituting kvm_amd. 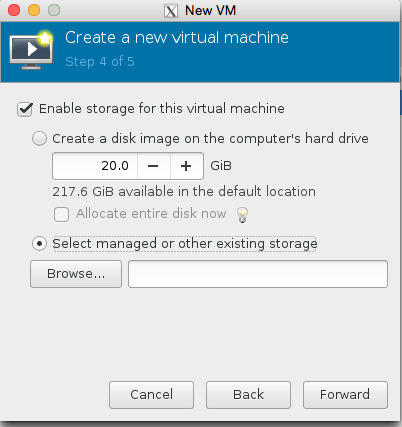 In the previous article, I showed how to wipe clean the windows password from a broken Virtual Machine that you were locked out of by rescuing with a Linux image. In this article I explain steps of how you would automate this with a bash script, that looked at the STATE of the server, and accepts commandline arguments. The above script takes the arguments I give the executable script on the commandline, in this case the first argument passed is $1, the Rackspace mycloud username. The second argument the apikey. etc. This basically puts the server into rescue. But.. what if we wanted to run some automation AFTER it rescued? We don’t want to try and let the automation ssh to the box and run the automation early, so we could use a supernova show to find whether the VM state has changed to ‘rescue’. Whilst its initiating the state will be rescuing. So we have the option of using when !rescueing logic, or, when == equal to rescue. Lets use when equal to rescue in our validation loop. echo "If you read this, it means that the program detected a rescued state"
It’s quite a simple script to use. We just provide the arguments $1, $2, $3 and $4. Where 10010101 is the tenant id and e744af0f-6643-44f4-a63f-d99db1588c94 is the UUID of your server. Now you can call the command ‘rescue’. nice, and quite simple too. Obviously ‘post rescue’ in the script I can upload a script via ssh to the server, and then execute it remotely to perform the password reset. So, you have lost your Windows Administrator password for your Rackspace cloud server? I’d like to thank my friend Cory for providing the link details for how to do this. If you’ve broken your Rackspace server and you don’t know how to perform the above step, send a ticket to Rackspace support and they should be able to put your server in rescue so you can reset the password of your windows machine! Here we can see that the disk we want is /dev/xvdb1 since this is the HPFS/NTFS/exFAT partition format used by windows. 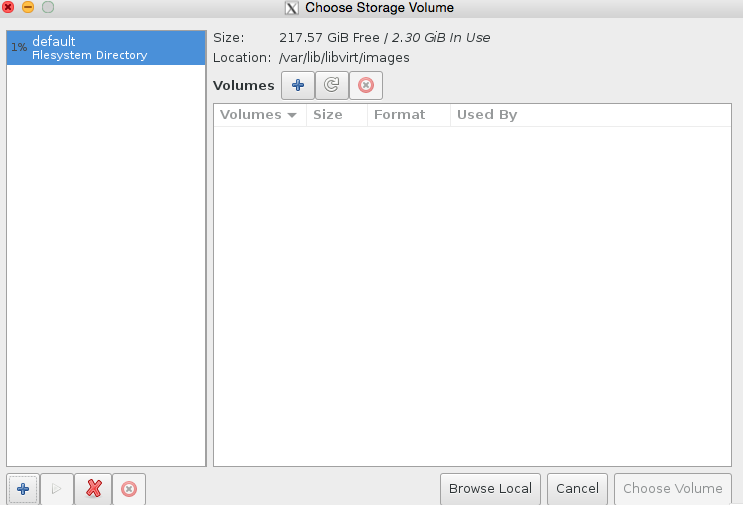 The rescue mode builds a new server and disk, attaching your old disk as the ‘b’ disk, xvdb. Lets mount the disk and install the application we need to wipe the password for the box. Once run press 1 to ‘clear password’. Used for data: 255/20712 blocks/bytes, unused: 13/3672 blocks/bytes. Yay! We now automatically bypass the ordinary login screen so we can get into the server to reconfigure it properly again. 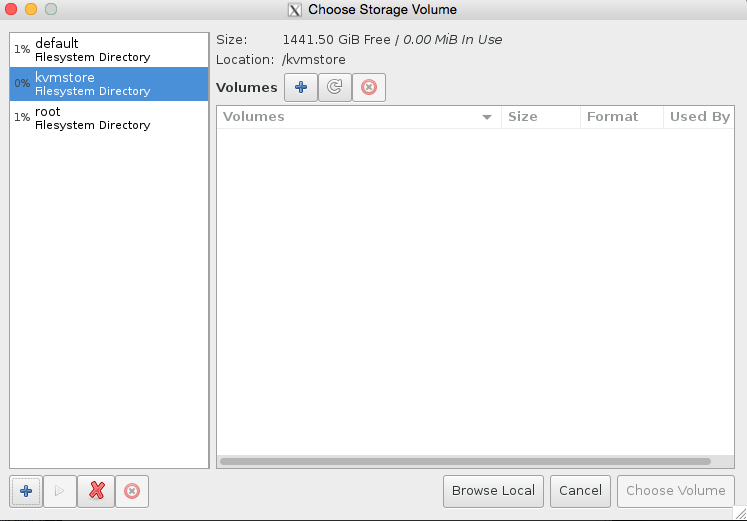 You might have some questions about… setting up nova. This just sets the variables on the commandline so they can be used by nova. It is possible to provide all of the credentials on the nova commandline as described in previous articles on this blog concerning nova. 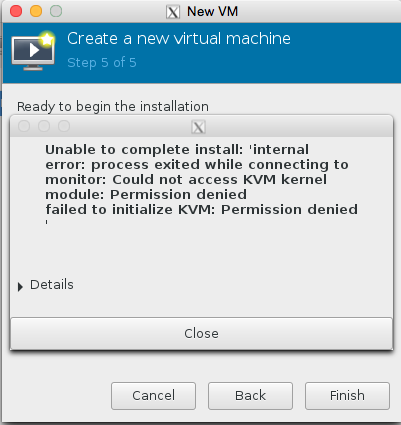 So, you want to run your own hypervisor using xenserver, but you want to have some of the flexibility of KVM too. 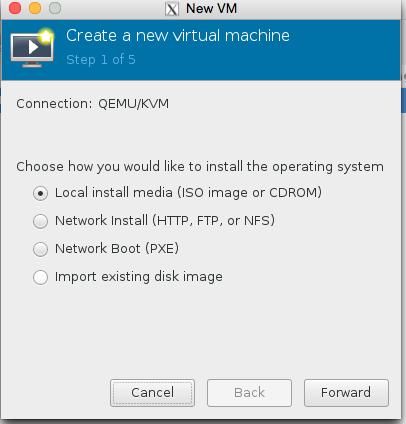 This instructional guide explains how to install and configure KVM with virt-manager and with X11 forwarding. We will go step by step. In this case I am using a mac. In this case I’ll be using a 40 cpu 128GB machine as the host utilizing the new onmetalv2 server range offered by Rackspace public cloud. Xming will work out of the box for windows, but for Mac users you need to make sure you have enabled X11 forwarding. This simply allows X11 forwarding for Mac users which needs to be done at the client side. 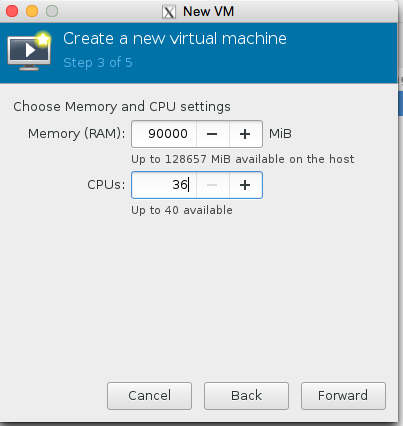 Then you can virtualize any application you like on the client, but running the application such as firefox , or even a virtual machine on the remote server. SSHv2 is beautiful. That’s it you’ve completed the most important steps. After running the above command you will see something like the image below. 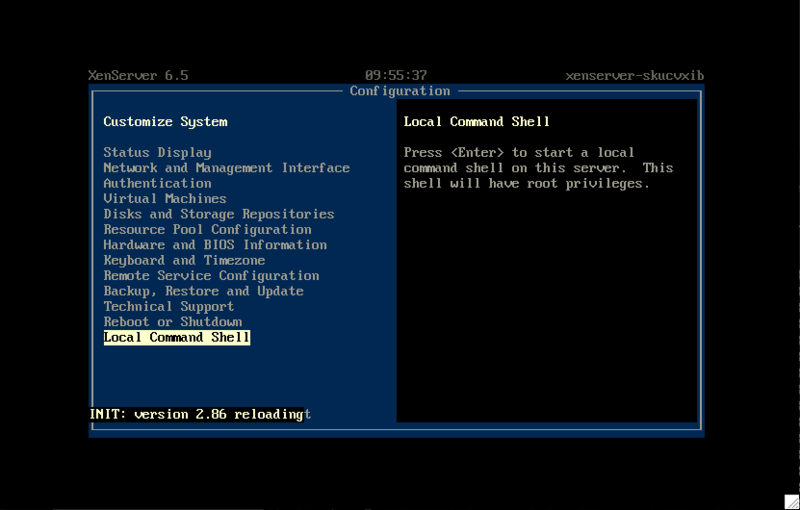 You’ll see an X window open on your local client machine, which is associated with an application running on the remote server your connected to via SSH. This is pretty damn cool. 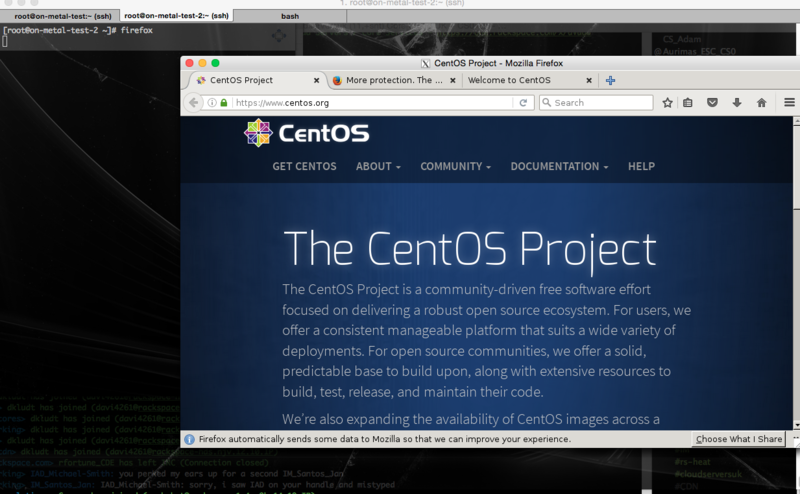 Lets take this further and install firefox to demonstrate how awesome this is! Now we’re using firefox thru ssh, much better and more convenient to use X11 forwarding for this, than using a proxy for instance on the client configured with tunnel or vpn. Now we have created the filesystem. 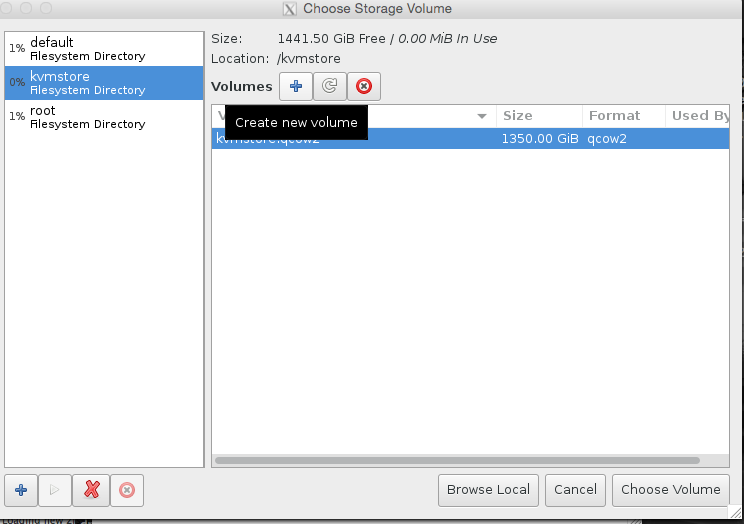 What about creating the ZFS partition. To do this we need to go thru a fairly laborious process (at least if you don’t know what your doing). As I discovered my yum installation wasn’t automatically providing the correct devel source for the kernel to use the ZFS DKMS module. As ZFS is really a native BSD package. This gave me the right version of the devel kernel I needed to install ZFS to my current kernel with a module, as opposed to completely recompiling the whole thing. Nice! Connecting to downloadns.citrix.com.edgesuite.net (downloadns.citrix.com.edgesuite.net)|104.86.110.32|:80... connected. Click browse, then press the bottom left + icon to add some pools. 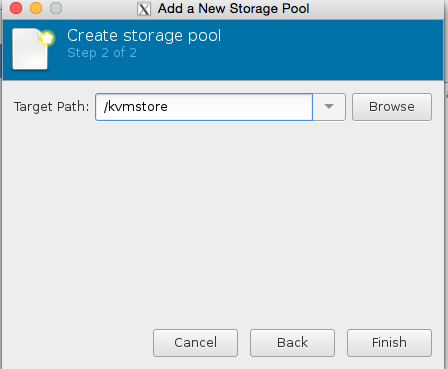 We’re going to add /root which has our iso in it, and we’re also going to add kvmstore aswell. Congratulations you have now added the stores. 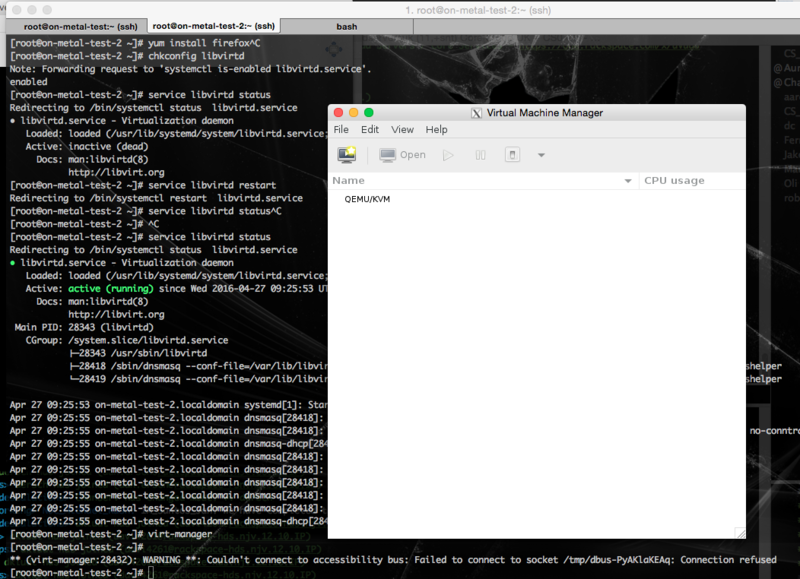 Now all we need to do is finish configuring the VM. 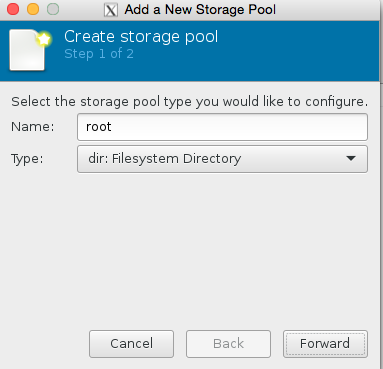 We want to select the root partition now we have set up the pool, and choose the xenserver iso we just recently downloaded. We are almost there now! 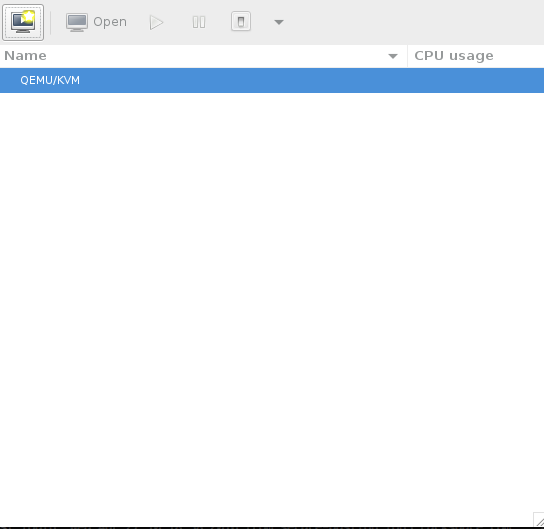 Lets set the number of cpu and ram! 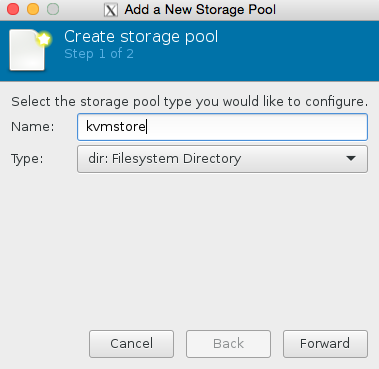 Also lets make sure we use the kvmstore we just setup instead of the ‘main disk’ of the server. 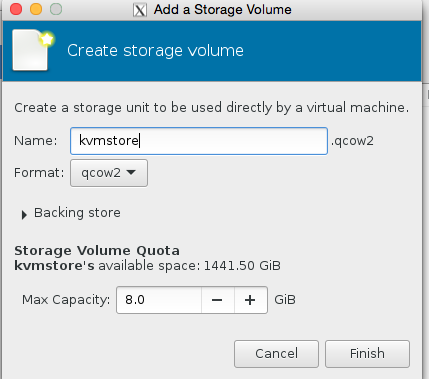 Select our KVM store ‘pool’ on the left hand side, and then press + to add the kvmstore.qcow2 volume, see the images for illustration. This can be quickly resolved by editing the /etc/libvirt/qemu.conf and making sure user = “root” and group = “root” are present. I recently installed Xenserver on Rackspace OnMetal v2 and I wanted to make sure I had the latest supporting service packages. It’s simple enough, just wget the update from citrix on their page and then patch-upload and patch-apply using the uuid of the patch and the uuid of the host. Simples. 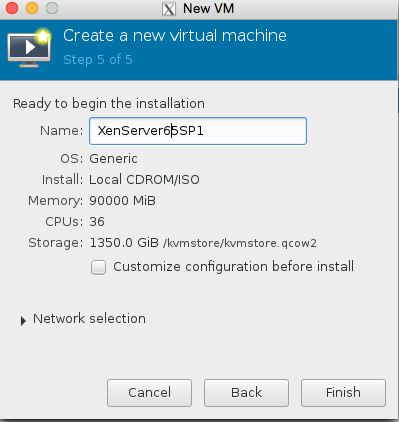 We have now successfully applied Xen server SP1 to Xen Server 6.5. This was quite annoying, but thanks to Major hayden (thanks pal) I was able to resolve this issue by making a file on my Mac to make sure the bindings are there. Make sure you close X Quartz first. Job done! Now it works nicely 😀 This might be relevant to those using xen, kvm and libvirtd in particular. To protect yourself against this type of attack succeeding, namely to guess your password and compromise your server, you can choose an extremely long password utilizing many symbols %$!&^ and numbers 190921, both UPPERCASE and lowercase letters. Other alternatives ways to resolve this other than using secure passwords, or a less obvious port than SSH’s default port 22, is to install something like fail2ban. Which will ban any IP address preventing it from logging in if it gets the password wrong a certain number of times in a row. However, pleas be careful with this too as you can lock yourself out if you are not careful, as with all security software. Please use the following link for more information on upgrading Windows 2008 Xen Tools. Please only perform these steps if you know exactly what you are doing. At this point, you should have the Openstack guest agent service version 1.3.0.3 installed and running. 4.1 If you don’t see version numbers there, you can either just select the entires to view their version in the detail section on the bottom of that window, or you may want to enable the version column by pressing the ‘alt’ button once, in the resulting menu selecting ‘View > Choose Details…’ and ticking the box next to ‘Version’ in the list. So you want to update your PV Drivers for your machine. You might want to do this if you are for instance migrating a VM with older PV tools, and you want to use on a newer Hypervisor. Some windows machines are particularly sensitive and can sometimes crash if the latest tools are not installed. In this case no tools are intalled at all on a 5.6 host. So we are going to install the PV 5.6 drivers. This may be of use to Rackspace customers of the first generation platform. The windows setup is a lot simpler. Just download a zip for your version of Xen Server (MAKE SURE YOU KNOW WHICH ONE! IMPORTANT), and then run the xensetup.exe. Simples!